University of Nebraska Office Professionals Association "Jump in With Both Feet!" Welcome! We hope you find exciting opportunities and events here. We invite all office support staff at UNL to attend one of our meetings and get enthused about this special organization. April 13: ALL HANDS NEEDED - UNL Spring Football game - Click here to sign up! NEOPA - Check out "The Star Achievement Series"
"Jump in with both feet!" As your UNOPA President, I have chosen the theme, UNOPA –“JUMP IN WITH BOTH FEET!” As many of you know, this year I had to step into the President’s role a year early. Life is always full of surprises, and we never know what may come our way. To jump in with both feet means to become involved in something very quickly, and with enthusiasm. That is exactly what I am doing this year as your UNOPA President, and I encourage all of you to do the same. Whether it’s learning a new skill, joining a committee, taking on new roles or responsibilities, or trying something new for the first time, I encourage you to jump in with both feet! UNOPA provides opportunities to grow as professionals and also gives us a voice. I hope you will take advantage of the opportunities to come together to learn from one another, share ideas and positivity, give recognition, and help and support each other as we journey through another year. A new year means new goals, opportunities, challenges, victories, and experiences. May we cheer each other on, every step of the way. 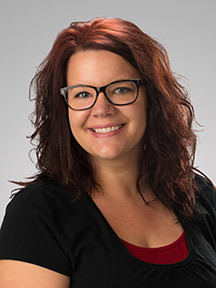 Every staff member at the University of Nebraska brings something unique to the table. We come from different cities, states, backgrounds, cultures, and we all possess various talents and skills. I encourage you to seek out opportunities to become more involved in UNOPA, get to know your colleagues and other UNOPA members, and strive to learn something new each day. I know the 2018-2019 year will bring good things for UNOPA. I look forward to seeing new faces, and those returning. We will be celebrating the University’s 150th anniversary, and the 55th year of UNOPA. There are many exciting things ahead, and I look forward to being your 2018-2019 UNOPA President. Food and shelter insecurities are an unfortunate reality for students at the University of Nebraska-Lincoln and nationwide. Nearly 1 in 3 students on our campus worries about not having enough food until they get money to buy more. The Huskers Helping Huskers Pantry+, located on the 3rd floor of the Nebraska Union (room 348), provides a one-stop location to assist students. By simply presenting their NCard, students can receive food and hygiene items for free. Information about community resources for housing and other food assistance programs also are available. Come as you are... with these. 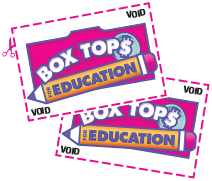 Did you know we collect Box Tops? Save yours and turn them in at our monthly General Membership Meetings. These items can also be mailed to Marcy Tintera at her campus address: 14 Law, EC 0904.